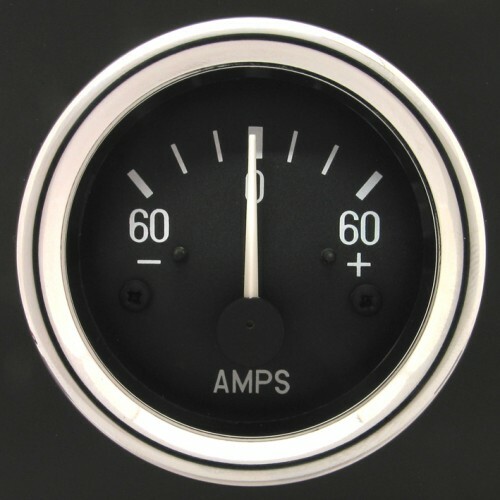 Ammeters measure electrical current (in Amperes) flowing through a circuit and therefore are wired in series with the load. They are useful when using a dynamo based charging system, as they can warn the driver (for example) of negative charging conditions. 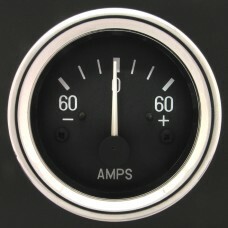 The 60A rating is also suitable for alternator charging systems where the rating of the alternator is less than 60 amps. 52mm Ammeter wiring diagram here.